As we pointed out recently, the entertainment industry increasingly understands the importance of Faith Driven Consumers to the success of movies and television shows. Given this, we suspect that Hollywood execs will be taking note of the phenomenal social media interest to the upcoming movie, “God’s Not Dead,” scheduled for release on March 7, 2014. Here, the Facebook page for the movie, which follows a Christian college student defending his faith in an atheist professor’s class, recently exploded with impressive viral activity following the release of the movie’s trailer on October 22nd. In the span of less than two weeks, the “God’s Not Dead” Facebook page now has more than 322,500 “likes” on Facebook – and more than 408,000 “shares” – and would rank #19 for Christian-themed Facebook pages. And in terms of the all-important social media engagement metric, 1.1 million people are “talking” about “God’s Not Dead” – outpacing the 3rd-ranked page for pop culture celebrity Rihanna, who has nearly 80 million “likes” and 850,000 people “talking” about her. While time will tell if the movie is a good one, one thing’s clear: there’s a hunger and passion among the Faith Driven Consumer audience for entertainment that welcomes and respects a biblical worldview. This entry was posted in Opinion/Commentary on November 3, 2013 by Truth2Freedom. This entry was posted in Reblogged Guest Post on November 3, 2013 by Truth2Freedom. Questions about False Doctrine: Is the Personal Prophecy Concept Biblical? There are some within the Christian faith, predominantly in Charismatic/Pentecostal churches, who view/practice the gift of prophecy as giving personal advice with a “thus says the Lord” presentation. Sadly, those who practice personal prophecy in this manner are often not any different than those who portray themselves as psychics. In fact, there are prophetic hotlines as “Christian” alternatives to psychic hotlines. Some in the personal prophecy movement advertise with statements such as “come get your prophetic reading,” again, very similar to the terminology psychics employ. This understanding and practice of the gift of prophecy is completely unbiblical. Biblically speaking, the gift of prophecy is the Spirit-empowered ability to declare revelation from God (Romans 12:6–8; 1 Corinthians 12:4–11, 28). Prophecy sometimes, but not always, involves proclaiming revelation from God in regards to the future. In both the Old and New Testaments, God used prophets and/or the gift of prophecy to reveal truth to people. Prophecy is proclaiming the truth of God, it is special revelation, truth that cannot be discerned by any other means. Much of the Old Testament was once prophecy. Through a prophet, God would reveal truth that the people needed to know, and sometimes, that truth would be recorded in written form. This, ultimately, resulted in the Bible, the Word of God, the ultimate special revelation from God. The completion of the Bible impacts the nature of the gift of prophecy. The Bible contains all the revelation we need for life and godliness (2 Peter 1:3). The Word of God is living and active, sharper than any two-edged sword (Hebrews 4:12). The Bible is “useful for teaching, rebuking, correcting and training in righteousness, so that the man of God may be thoroughly equipped for every good work” (2 Timothy 3:16–17). As a result, the gift of prophecy transitioned from primarily being a declaration of new revelation from God, to primarily (or exclusively) being a declaration of what God has already revealed, as recorded in His Word. This is not to say that God would never give one person a message to deliver to another person. God can, will, and does use people in whatever ways He sees fit. But, the fact that the Word of God is perfect and complete means that we are to rely on it for guidance. We are not to rely on prophets, prophetic hotlines, and prophetic readings. God’s Word contains the truth we need to know. God’s Word presents the wisdom we need to know to properly apply His truth. Beyond that, we have the indwelling Holy Spirit to guide, comfort, and teach us (John 14:16, 26). Using the concept of personal prophecy to gain influence over people and making them dependent on “prophetic guidance,” is a blatant distortion of the biblical gift of prophecy. Any time people trust the fallible words of men instead of the infallible Word of God, it is a travesty. This entry was posted in False Doctrine Questions, Questions & Biblical Answers on November 3, 2013 by Truth2Freedom. Questions about Family / Parenting: Should a Christian Continue Spanking His/Her Children If It Is Illegal? The subject of spanking is a divisive one, even among Christians. Several countries have banned the corporal punishment of children, yet many parents consider spanking an essential tool in discipline. When the law forbids spanking, the question arises—if spanking is illegal, do parents have the God-given right to continue to use corporal punishment to discipline their children? When the subject of spanking is broached, it must be assumed that the corporal punishment in question does not occur in an abusive way. It is not extreme nor given in anger, but proportionate to the offense and part of a loving, responsible relationship. And the fact is, spanking is efficient and can be very effective. Some children respond to spanking quickly and completely when all other types of punishment fail. Parents of a strong-willed three-year-old who loves to run out into the street understand they have two choices: spank promptly to curb the dangerous behavior right away, or confine their child to a strictly controlled environment that may disrupt the entire family and restrict the child from more pleasant activities. The Bible neither explicitly demands nor forbids the spanking of children. (Although the “rod” of Proverbs 13:24 could refer to reproof in general, corporal punishment cannot be excluded as an option.) Firm, decisive discipline is vital to the well-being of a child. It provides guidance and wisdom the child will need later in life. Fathers in the New Testament bear a responsibility to rear their children “in the training and instruction of the Lord” (Ephesians 6:4). Mode of discipline is not specified. Christian families in many nations in Europe and even on U.S. military bases are faced with the challenge of disciplining their children without the option of spanking / corporal punishment. Parents who believe that spanking is a God-ordained practice necessary for the rearing of their child may spank privately, disregarding the ban as a matter of civil disobedience. Other parents may choose not to spank, submitting to their civil authority and trusting that God is wise enough to lead them to discipline in other ways. Both options have their merits. When rearing a fearless and stubborn three-year-old, spanking may seem like the only safe and responsible option. In most cases, however, spanking is not the only option; alternatives can be found. Non-corporal punishment will most likely require a great deal more effort, time, and commitment, but it can be effective as well. God knows His children well. May we know our children well enough to know how best to discipline them with patience, perseverance, and love. This entry was posted in Family/Parenting Questions, Questions & Biblical Answers on November 3, 2013 by Truth2Freedom. Questions about Theology: What Is Dispensational Premillennialism / Premillennial Dispensationalism? Premillennialism as a system is primarily based on a literal method of biblical interpretation. The main premise of premillennialism is that Jesus will literally return to the earth before (pre) the millennium begins and that He himself will inaugurate and rule over it. Premillennialists can be divided into two groups with respect to their central approach to the prophetic Scriptures, historic premillennialists and dispensational premillennialists. The basic difference between the two is the emphasis that each gives to the nation of Israel during the millennium, the period of a thousand years during which Christ will reign on earth (see Revelation 20:1–7). Historic premillennialists believe that scriptural prophecy, especially the passages in Daniel and Revelation, give the entire history of the Church in symbolic form. Thus, they look into the Church’s past and present to find prophetic fulfillment and to see where they are in God’s prophetic timetable. Most historic premillennialists hold that the nation of Israel will undergo a national salvation immediately before the millennium is established, but there will be no national restoration of Israel. Thus, the nation of Israel will not have a special role or function that is distinct from the Church. In contrast to historic premillennialism, dispensational premillennialism has gained popularity among modern evangelicals. 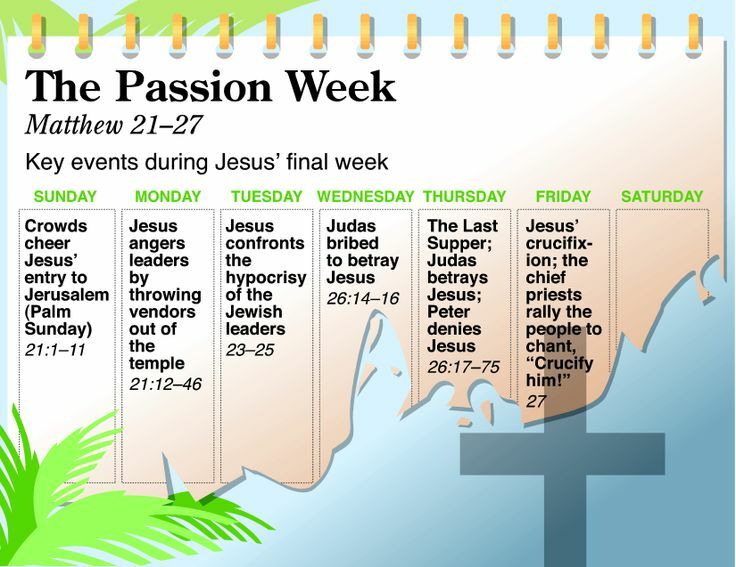 Dispensational premillennialists hold that the second coming of Christ, and subsequent establishment of the millennial kingdom, is to be preceded by a seven-year-long period known as the “Tribulation,” the earthly activity of the Antichrist as well as the outpouring of God’s wrath on mankind. Dispensational premillennialists hold that the nation of Israel will be saved and restored to a place of preeminence in the millennium. Thus, Israel will have a special function of service in the millennium that is different from that of the Church or saved Gentiles. Another difference is that most dispensational premillennialists hold that the millennium is for a literal 1000 years, while some historic premillennialists assert that the 1000 years is figurative for a long period of time. Basically, the fundamental difference between historic premillennialism and dispensational premillennialism consists in the latter’s insistence on maintaining a distinction between the nation of Israel and the Church. According to dispensationalists, the millennium will be a period of history in which God reverts back to fulfilling His Old Testament promises made to ethnic Israel, after this modern “Church Age” in which we live today is concluded. As such, the millennium will be a state of Jewish dominion over all the world, along with a newly restored Jewish temple and priesthood. The Christians who reign with Christ will all have been given eternal, glorified bodies, and will reign spiritually, while the Jews will own the world physically, and will live, marry, and die (although evincing incredible longevity), just as people have throughout the history of the world. It is only after this thousand-year period, in which God fulfills His promises to ethnic Israel, that Christ will put down a final rebellion and usher in the eternal state with its New Heaven and New Earth (Revelation 21–22). Historic premillennialism, conversely, requires none of this strict dichotomy between God’s spiritual people, the Church, and His physical people, ethnic Israel; it merely looks ahead to a time when Christ will reign visibly on the earth, before He brings in the eternal state. This entry was posted in Questions & Biblical Answers, Theology Questions on November 3, 2013 by Truth2Freedom. It seems that all things are changing. The Eastern block crumbled. The mid- east became a hot spot. The price of gas bounces like a rubber ball. The television programming is changing. A recent survey showed that the once most popular Cosby show, was losing out by a majority to the Simpson’s. Almost everything there is in the world changes. Can you think of anything that is not changing, with the exception of God and things relating to him? There doesn’t seem to be anything that is not changing. Thus in a world of drastic change, an unchangeable God should be very relevant to the people that we meet. Immutability is another term that is often used for this doctrine. God is unchangeable, or immutable. Thus, immutability may be a little better word for use with God. The idea of not capable of change would be a stronger idea than unchangeable. In reference to God there is no capability of change. He is not capable of change thus cannot change. Exodus 3:14, “. . .I AM THAT I AM. . . .”; Numbers 23:19; Psalm 33:11-12; Malachi 3:6; Hebrews 13:8; James 1:17. There is no change in God’s nature, mind, character, thought or will. He never changes in greatness, goodness, intelligence, size, or quality. Theissen mentions that all normal change must either be for the better or for the worse. God cannot change for the better because He is already perfect. God cannot change for the worse for two reasons. First, He is perfect, so He cannot change and become worse. Secondly, if He changed for the worse He would no longer be perfect which would be impossible for His character. Some suggest that the Bible shows that God changes, in that we no longer have the Law and sacrifices. The same God is unchanged but he has changed how He deals with man. This is not changing Him, but how He relates to man. This is logically acceptable. Let me illustrate: The sun never changes, yet it melts snow in one spot of the earth and dries clay in another part of the earth. The sun doesn’t change. An example of this is found in 1 Samuel 15:10, 29. This text mentions that God repents in the dealings with men but never does He repent in dealings with sin. Another text that indicates that He does change in his dealings with man is Ezekiel 24:14, “I the Lord have spoken it: it shall come to pass, and I will do it; I will not go back, neither will I spare, neither will I repent; according to thy ways, and according to thy doings, shall they judge thee, saith the Lord God.” The fact that He promises not to do things, indicates that He could if He so desired. In the context of Ezekiel God gave His people every opportunity to turn to Him and they have not, so He pronounces this promise of judgment. 1. His promises never change, once given to a people. 2. His moral character can never change thus His quest for our holiness will never change. That is in our walk and our ultimate holiness in eternity. What is right is right no matter the time with God. With man, right and wrong shifts with the whims of the ungodly. What do you think about that last comment? Is it really accurate to relate the comment only to the ungodly? I’m not sure that it is. 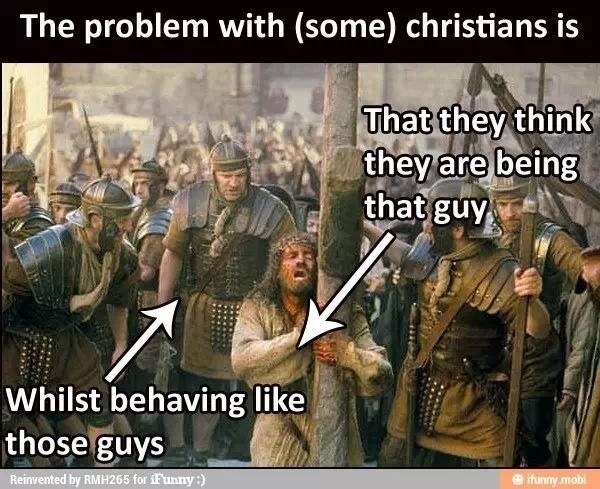 Christians tend to vary right and wrong quite nicely as well. 3. What He has promised in the way of salvation will never change. 1 Peter 1:3,4. The lost are surely lost for God will not change in His attitude toward sin, nor His set judgment. This entry was posted in Biblical Theology/Doctrine on November 3, 2013 by Truth2Freedom. Paul takes aim first mainly at the idolatry of the pagans. A knowledge of God was available to them, but they refused it, turning instead to gods of their own making. And their accompanying choice of immorality was confirmed by the true God, who “gave them over” (three times: vv. 24, 26, 28) to their sins. Here then we find the explanation of the gross immorality of the nations and the long history of human unrighteousness. In this section the Gentiles are mainly in focus, but this does not exclude an application also to the Jews. The background of vv. 18–32 has been much discussed. Since the use of the past tense predominates in this section, are we to conclude that Paul has in view some epoch in the past when sin manifested itself with special intensity? This is unlikely, for he moves now and again to the present tense also. The conclusion is that the description fits his own time as well as earlier ages. If this were not so, the passage could scarcely deserve a place in the development of the theme. At the same time, deliberate allusion to earlier eras is not impossible. Another problem is raised by the sweeping nature of the charge made in this portion of the letter. Are we to believe Paul is charging every pagan with this total list of offenses? Such a conclusion is unwarranted. Sinful people are capable of committing all of them, but not every individual is necessarily guilty of each and every one. Sun, moon, and stars do not alter their order; thus you should not alter the Law of God by the disorder of your action. The Gentiles, because they wandered astray and forsook the Lord, have changed the order, and have devoted themselves to stones and sticks, patterning themselves after wandering spirits. But you, my children, shall not be like that: In the firmament, in the earth, and in the sea, in all products of his workmanship discern the Lord who made all things, so that you not become like Sodom, which departed from the order of nature. Undoubtedly, the synagogues of the Diaspora made use of material of this kind in trying to proselytize Gentiles. None of it would have seemed strange to Jewish readers. And they would have been fully on track with the criticism of pagan immorality. 18 At the outset it is important to observe the correlation between righteousness and wrath. In parallel statements, both are represented as being “revealed” (apokalyptetai, GK 636, as in v. 17). As previously observed, full salvation in terms of divine righteousness awaits the future, being eschatological in nature; but salvation also belongs to the present and is appropriated by faith. Similarly, wrath is an even more obviously eschatological concept, yet it is viewed here as parallel to the manifestation of righteousness, belonging therefore to the present age. It is “revealed” or “being revealed” (so NIV, reflecting the progressive present tense). This means that the unfolding of history involves a disclosure of the wrath of God against sin, seen in the terrible corruption and perversion of human life. This does not mean that the price of sin is to be reckoned only in terms of the present operation of wrath, for there is a day of judgment awaiting the sinner (2:5). But the divine verdict is already in some measure anticipated in the present. “Paul regards the monstrous degradation of pagan populations, which he is about to describe (vv. 24–27 and 29–32), not as a purely natural consequence of their sin, but as a solemn intervention of God’s justice in the history of mankind, an intervention which he designates by the term paradidonai [GK 4140]—to give over” (Godet, 101). Paul states that “the wrath of God is being revealed from heaven.” It is difficult to accept Dodd’s assertion, 47–50, that we are mistaken to conclude that God is angry. Dodd notes that Paul never uses the verb “be angry” with God as its subject. He further points out that in the Pauline corpus “the wrath of God” appears elsewhere only in Ephesians 5:6 and Colossians 3:6. Most of the time we encounter the simple “wrath” or “the wrath,” which appears intended, according to Dodd, to describe “an inevitable process of cause and effect in a moral universe.” It is precarious, however, to make much of the fact that God is not directly linked with wrath in every Pauline reference. The context usually makes it clear when the divine wrath is intended. In the passage before us, the words “from heaven” are decisive. As Gustaf Dalman (The Words of Jesus [Edinburgh: T&T Clark, 1909], 219) points out, “from heaven” in the Gospels means “from God.” Furthermore, since there is a wrath to come that will inevitably involve God, there is no reason why he should not involve himself in manifesting his wrath in the present. Human objection to the idea of the wrath of God is often molded, sometimes unconsciously, by the human experience of anger as passion or desire for revenge. But this is only a human display of wrath, and one that is corrupted. God’s wrath is not to be thought of as merely or purely an emotion but primarily as his active judgment (cf. 13:4–5, where its juridical character is evident). It is “the necessary response of a perfect and holy God to violations of his will” (Douglas J. Moo, Encountering the Book of Romans [Peabody, Mass. : Hendrickson, 2002], 56). They “suppress the truth by their wickedness” (v. 18). Unrighteousness has a blinding effect not only on its perpetrators but also hinders others from seeing the truth. Presumably the truth referred to here is basically the truth about God (cf. v. 25). Suppression of the truth implies knowledge of the truth, and what this involves is explained next. 21–22 Despite the knowledge of God conveyed to human beings through the creation, they failed to act on it. They neither “glorified him as God nor gave thanks to him.” Humans are religious beings, and if they refuse to let God have the place of preeminence that is rightfully his, then they will put something or someone in God’s place. The suggestion that emerges from “their thinking became futile” is that mythology and idolatry grew out of humanity’s insistent need to recognize some power in the universe greater than itself, coupled with the refusal to give God the place of supremacy. It is highly suggestive that the verb “to become futile” (mataioō, GK 3471) is paralleled by a nominal form (tōn mataiōn, “worthless things,” GK 3469) used in Acts 14:15 for idols. It is clear that idols are unreal and unprofitable, and their service can only lead to futility and further estrangement from the true and living God. The irony of v. 22 should not be missed: Supposed wisdom so often turns out to be foolishness (cf. 1 Co 1:23–29). 23 This abandonment of God in favor of inferior objects of worship is traced in a descending scale here. “Mortal man” is the first substitution. The Creator is forsaken in preference for the creature. Scripture gives us an example of the deification of a human in the case of Nebuchadnezzar (Da 3:1–7; cf. Daniel’s rebuke of Belshazzar in 5:23). In Paul’s day, the cult of Caesar had spread throughout the empire. Before long, Caesar and Christ would be competing for the worship of the Roman Empire. In modern times, the Western world may have outgrown crass idolatry, but humanism has subtly injected the worship of the human being without the trappings. God is quietly ruled out and humanity is placed on the throne. The next stage is the worship of animals. Verse 23 owes its wording largely to Psalm 106:20. The context there refers to the sin of Israel in making a calf at Horeb and bowing down to this molten image (see Ex 32). Paul makes one change in the text of the psalm, which reads, “They exchanged their Glory for an image of a bull, which eats grass” (cf. Wis 11:15; 12:24; 13:10). To the psalmist, God is the glory of the Israelites. Paul seems to make the glory of God his spirituality, in contrast to any attempt to express his majestic excellence in physical terms (cf. Ex 20:4). Whereas Paul is dealing with a characteristic sin of paganism, in the allusion to Horeb he resorts to OT history for an illustration. God did not and could not condone idolatry in the people he had chosen. His judgment fell heavily when there was no repentance (cf. Ex 32:28), even to the point of desolation and deportation from the land he had given to Israel. Jewish readers would have been very familiar with the polemic against idolatry (see, e.g., Isa 44:9–20). 24 The opening word, “therefore,” carries the reader all the way back to the mention of the revelation of God’s wrath, taking in also what lies between. The false worship just pictured is God’s judgment for abandoning the true worship. Ironically and tragically, religion in its various cultic forms is a species of punishment for spurning the revelation God has given of himself in nature. This should dispose of the naive notion that religion as such is necessarily a beneficial thing for mankind. On the contrary, it is in many cases a means of keeping people so occupied with falsehood that they never arrive at a confrontation with the true God. “God gave them over” becomes a refrain (vv. 24, 26, 28) that in each instance follows the reference to their own decision: “they exchanged” (vv. 23, 25–26). God in effect confirms the choices already made. Here the reference is to the judgment of God (cf. delivering over “to Satan,” 1 Co 5:5; 1 Ti 1:20); it is also used of God’s judgment on Israel for idolatry (Ac 7:42). In our passage, the reference is principally to Gentiles. (Israel was largely purged of idolatry by means of the captivity in Babylon.) We are not told how this “giving over” was implemented, but most likely we are to think of it in negative terms—i.e., that God simply took his hands off and let willful rejection of himself produce its ugly results. There is no direct, redemptive intervention here such as was granted to Israel by sending prophets to rebuke God’s people concerning their unfaithfulness. It is no surprise to find reference to sexual immorality here. In Jewish polemic, a connection between idolatry and sexual immorality was often made (cf. Wis 14:12). How true is the observation that “their foolish hearts were darkened” (v. 21). Paul was no stranger to the matter he discusses here. Writing from Corinth, where prostitution was so common, he must have been keenly aware of this scourge that affected the moral life of the city so adversely. The indictment here is that by a wretched exchange humanity came to worship and serve “created things rather than the Creator.” An alternative translation is possible—“more than” (para) in place of “rather than.” But the flow of the argument demands the latter. It is not that humanity grants God a relative honor in their devotion, but none at all. They have wholly rid themselves of him by substituting other objects in his place. This should be sufficient to banish the notion that in the practice of idolatry people simply use the idol as a means of worshiping God (cf. Hos 14:3). Contemplating this abysmal betrayal, the apostle cannot resist an outburst to counteract it. The Creator “is forever praised.” God’s glory remains, even though unacknowledged by many of his creatures. There is only one true God. 26–27 For the second time the sad refrain is sounded—“God gave them over” again to immorality, with emphasis on perversion in sexual relations. The sequence Paul follows—idolatry, then immorality—raises the connection between the two. Sanday and Headlam, 50, make a helpful suggestion: “The lawless fancies of men invented their own divinities. Such gods as these left them free to follow their own unbridled passions.” Men and women went so far as to project their own license on to their gods, as a perusal of the Homeric poems readily reveals. Sinning against God results in their sinning against their own nature. To sum up, what people do with God has much to do with their character and lifestyle. Nygren, 111, writes, “When man attempts to escape from God into freedom, the result really is that he falls prey to the forces of corruption.” Throughout the passage the human race is represented as active—seeing, thinking, doing. They are not represented as victimized, as taken captive against their will, or as the dupes of evil influences from outside themselves. 28–32 Here the second key word of v. 18 (adikia, NIV, “wickedness; NASB, “unrighteousness,” GK 94) reappears (v. 29), indicating that this section is to be given over almost totally to a picture of the havoc wrought in human relations because of suppressing the knowledge of God. Paul describes the sinful world that we know all too well from experience. There is a wordplay in the Greek—people “did not think it worthwhile” (edokimasan, GK 1507) to retain God in their knowledge, so God in turn gave them over to a “depraved [adokimon, GK 99] mind,” which led them in turn to commit all kinds of sin. It is God’s function to judge, but human beings have usurped that prerogative in order to sit in judgment on him and dismiss him from their lives. The prior emphasis on the mind is in accord with the appraisal of our Lord, who traced the wellspring of sinful acts to the inner life rather than to environmental factors (Mk 7:20–23). The depraved mind is explained in terms of what it approves and plans—“to do what ought not to be done,” namely, what is “offensive to man even according to the popular moral sense of the Gentiles, i.e., what even natural human judgment regards as vicious and wrong” (TDNT 3:440). 29–31 Scholars have found it difficult to detect any satisfactory classification in the long list of offenses included here. It can be pointed out, however, that the initial group contains broad, generic descriptions of sin. The first of these, “wickedness” or “unrighteousness” (adikia), by its derivation, is the antithesis of righteousness, denoting the absence of what is just. The term “iniquity” expresses it rather well. It necessitates the creation of laws to counteract its disruptiveness, lest society itself be rendered impossible. The next term, “evil” (ponēria, GK 4504), denotes what is evil not in the sense of calamity but with full ethical overtones, signifying what is sinister and vile. This is the term used when the devil is called “the evil one.” The third word, “greed” (pleonexia, GK 4432), indicates the relentless urge to acquire more (cf. Col 3:5). “Depravity” is an attempt to render kakia (GK 2798), a term that indicates a condition of moral evil, emphasizing its internal and resident character. It is related to the word translated “malice” (kakoētheias, GK 2799) later in the text, but the latter goes further, denoting malignity, a mind-set that attributes evil motives to others without provocation. Among the final twelve phrases, “God-haters” (theostygeis, GK 2539) stands out, since it alone is related directly to an attitude toward the Almighty. But it is not isolated, not introduced without reason. The hatred that vents itself on God readily finds objects of its displeasure among his creatures. When human beings come to the place of worshiping themselves, overweening and insolent pride is the inevitable attitude assumed toward others. Some of the descriptions Paul uses here are not found again in his writings or elsewhere in the NT, but four of them occur in 2 Timothy 3:2–3 in predictions of the state of society in the last days. 32 The final item in the indictment is climactic. It is prefaced by the reminder that people have not lacked a sufficient knowledge of “God’s righteous decree” (to dikaiōma [GK 1468] tou theou), God’s requirement (see 2:26; 8:4). If the knowledge of his “eternal power and divine nature” (v. 20) was sufficient to obligate them to worship God with gratitude for his benefits, the knowledge of his righteousness innate in their very humanity was sufficient to remind them that the price of disobedience would be death. Yet they were not deterred from their sinful ways by this realization. In fact, they were guilty of the crowning offense of applauding those who practiced wickedness in its various manifestations. Instead of repenting of their own misdeeds and seeking to deter others, they promoted wrongdoing by encouraging it in others, allying themselves with wanton sinners in defiant revolt against a righteous God. Harrison, E. F., & Hagner, D. A. (2008). Romans. (T. Longman III &. Garland, David E., Ed. )The Expositor’s Bible Commentary: Romans–Galatians (Revised Edition). Grand Rapids, MI: Zondervan. This entry was posted in Biblical Commentary on November 3, 2013 by Truth2Freedom. A huge trap that Christians can fall into is self-righteousness. It is a form of idolatry and that always causes spiritual blindness (Romans 1:24-25). Self-righteousness puts all effort towards godliness in the wrong place. It creates a form of piety that is all about outward appearances while putting little or no priority on matters of the heart. It is all about being concerned about appearances and what others think rather than being totally committed to abiding in Christ from within first. The self-righteous are consciously holy. However, that is not what we are called to be. Christians must be consciously repentant and unconsciously holy. The difference is huge for these are totally opposite.